These 30 litre compostable liners are suitable for medium sized pedal bins, garden waste, grass clippings, local authority kerbside waste bins etc, manufactured to Din Certo EN13432 certification. These liners will break down to CO2 and bio mass in 6-12 weeks depending on the composting conditions. Dimensions 550mm x 620mm 25 liners per roll. 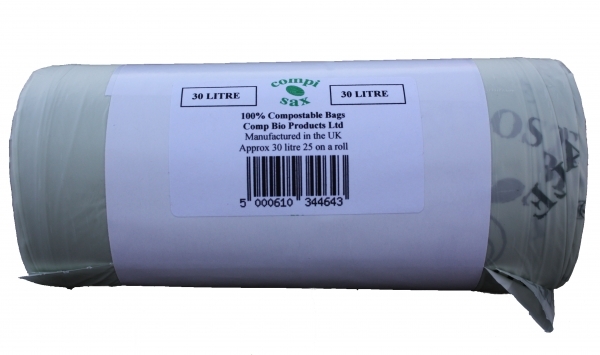 The Compostable Bin Liner 30 Litre - Roll of 25 product ethics are indicated below. To learn more about these product ethics and to see related products, follow the links below. Use as a bin liner. Not as strong as a conventional one so doesn't last as long but probably worth it for the eco friendly material. 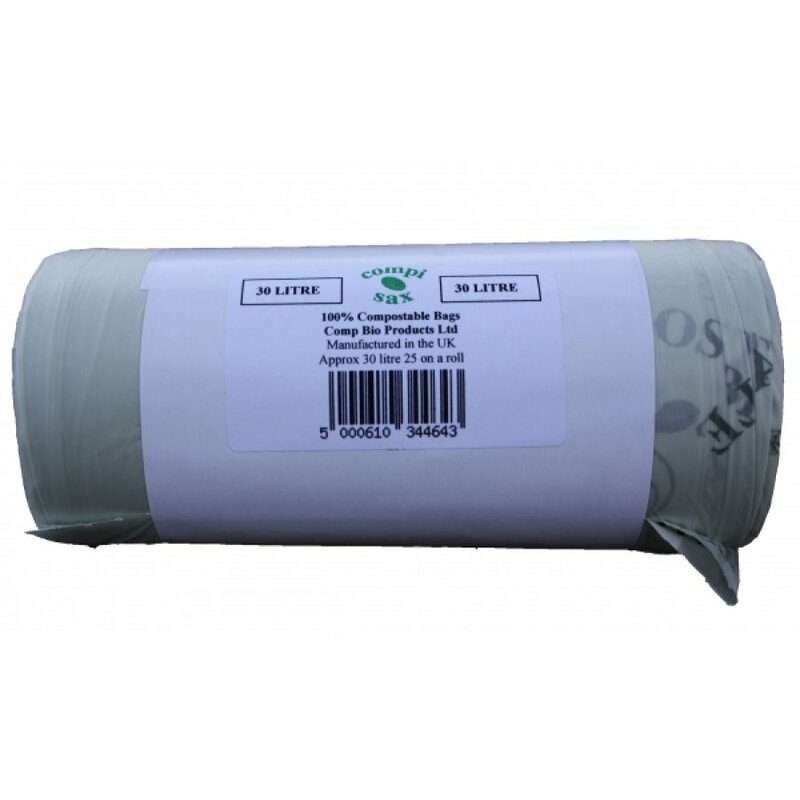 There are currently no questions to display about Compostable Bin Liner 30 Litre - Roll of 25.